With summer right around the corner, it’s time for backyard parties and holiday barbeques. From disposable dishware to aluminum drink cans, summer parties create huge amounts of trash. This summer you can have fun at your gathering while keeping the environment in mind. 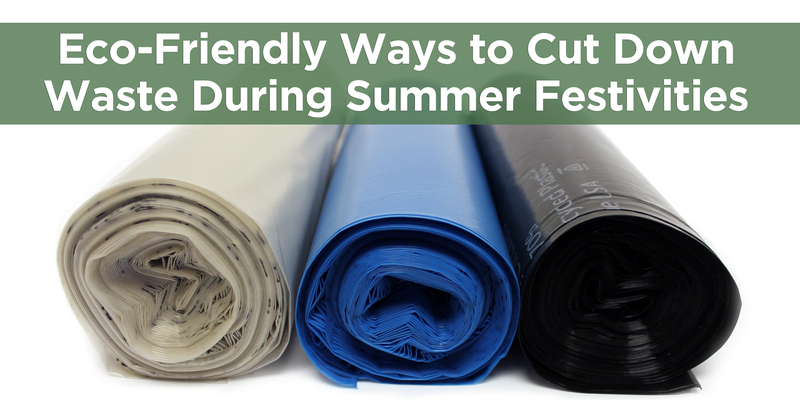 Here are five helpful tips for being more environmentally conscious while hosting and attending summer festivities. 1. Reuse decorations. Many decorations can be reused for multiple years or repurposed from other seasons or events. Check local thrift stores for fun decorations before buying new and donate them if you are not going to use them again. By reusing decorations, you cut down of the amount of waste that gets thrown away ever year. 2. Ditch the disposable dishware. According to Waste Management, Americans toss out enough disposable cups, fork, and spoons to circle the equator 300 times. If that is not practical for the amount of people at your event, try to use disposable dishware that contains recycled material or is biodegradable. 3. Buy local food. Buy local food whenever possible. Shipping food from all over the world uses an enormous amount of fuel and resources. Plus, local fruits, vegetables, meat, eggs, and dairy are fresher and typically cost less. 4. Carpool! There is no need for everyone to drive separately if they are going to the same place. Carpooling cuts down on fuel emissions and costs. Also encourage people to walk or ride their bike if possible. 5. Have clearly marked recycling and trash containers. It is important to provide guests with clearly marked recycling and trash containers. It may also be useful to have a list or visual aid on each container of what they should recycle and what goes in the trash. If you have an outlet for composting, try setting up a receptacle for food waste. We’ll help you clean up and keep the environment clean! Did you know that your trash bags and can liners used at summer parties can also be eco-friendly? Our Greencore® can liners and recycling bags are made with up to 70% post-consumer recycled material, reducing carbon pollution by as much as 20% over regular bags. These tough bags are puncture resistant and durable enough to handle your biggest summer party messes. By using our products, you can further increase your sustainability and cut down on waste. Check out our eco-friendly products here.